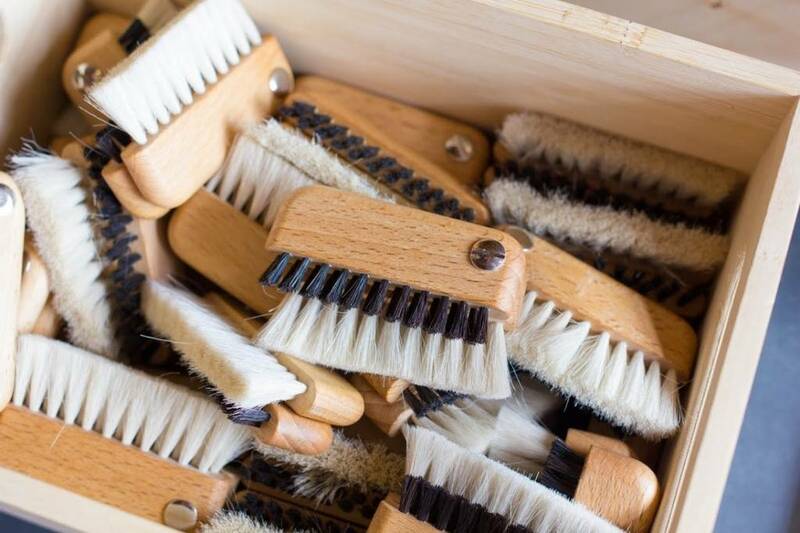 THESE LITTLE GERMAN BRUSHES ARE INDISPENSABLE FOR ANYONE WHO USES A COMPUTER DAY TO DAY. THE LITTLE BLACK BRISTLES ARE FOR CLEANING BETWEEN THEY KEYS ON YOUR KEYBOARD, AND THE SOFT GOAT HAIR WHITE BRISTLES ARE TO DUST OFF YOUR MONITOR SCREEN. PLUS, IT'S SWEET ENOUGH TO KEEP OUT ON YOUR DESK BETWEEN USES!